An important question to ask is: “are the benefits greater than the cost; are complete streets a good investment?” The economic framework (located in the appendix of the Monterey Bay Area Complete Streets Guidebook) is designed to answer this question by categorizing potential effects of both direct and non-direct transportation impacts on investments, business activity, property values, and government fiscal health. Take a look at the economics of complete streets key findings or the entire White Paper on Economics of Complete Streets. Communities from across the Monterey Bay Area came together to discover new tools for developing streets that are safe, comfortable and convenient for all users at the recent Complete Streets Workshop. Over fifty representatives heard about the new norm for planning and designing roadways and how to adopt policies and practices that support complete streets concepts. Take a look at the Complete Streets Workshop agenda which includes links to the presentations and speakers contact information. A video of the presentations given at the workshop is available on YouTube. Click “show more” below the video to skip to a specific panel of speakers. The Regional Transportation Plan/Metropolitan Transportation Plan Working Group presented “The Role of Complete Streets in Sustainable Communities: A Regional Effort” at the November, 2011 Monterey Bay Area American Public Works Association Workshop. RTC staff presented their ideas about integrating planning for Complete Streets into regional transportation. In a continued effort to increase knowledge of complete street practices and encourage their use, RTC staff is available to assist local jurisdictions adopt the Complete Streets Guidebook as city policy and provide presentations about the Complete Streets Program to city councils, committees and interest groups. 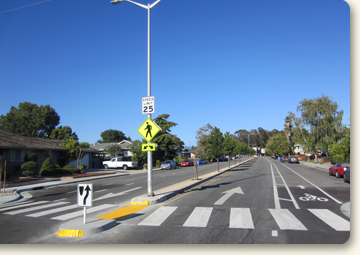 Compiling an inventory of complete street transportation attributes was the first step in conducting the Monterey Bay Area Complete Streets Assessment. The assessment identified the existing mobility context, documented complete streets facilities, and considered gaps in the transportation network and services. Projects on the draft 2014 Regional Transportation Plan list were revised and new projects added as a result of the assessment. 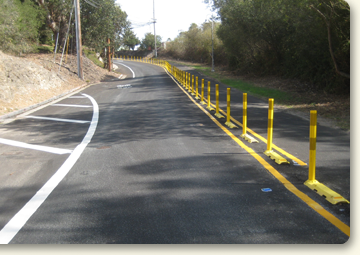 Complete streets projects are an essential element of the 2014 Monterey Bay Area Sustainable Communities Strategy. 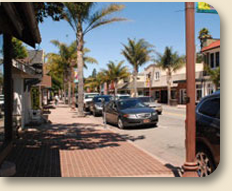 Streetmix.net. Design, remix, and share your neighborhood street – all in your browser! 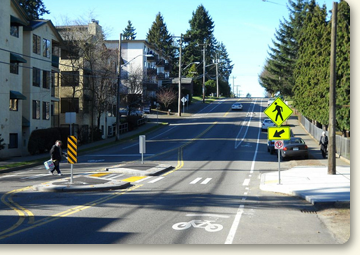 Provide information about the Complete Streets Program to your committees, councils or interest groups! Contact us for a presentation. Missed the workshop? Watch the video.